Up until last year I thought I hated mince pies. 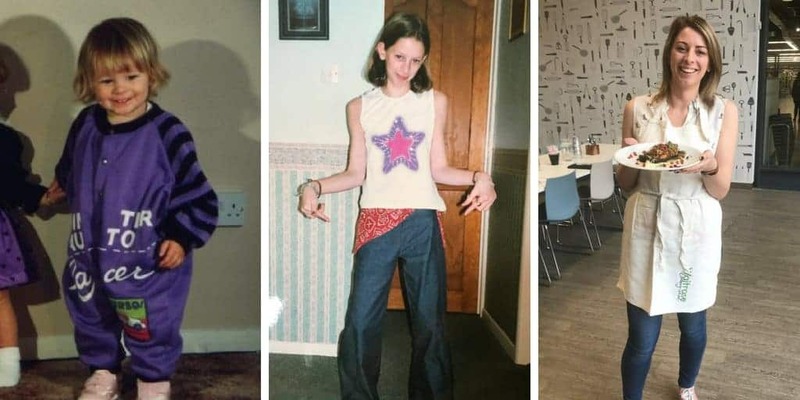 Until I tried one and suddenly I was obsessed. It was like I had to make up for lost time – so this year I have set about taste-testing as many gluten free mince pies as possible! 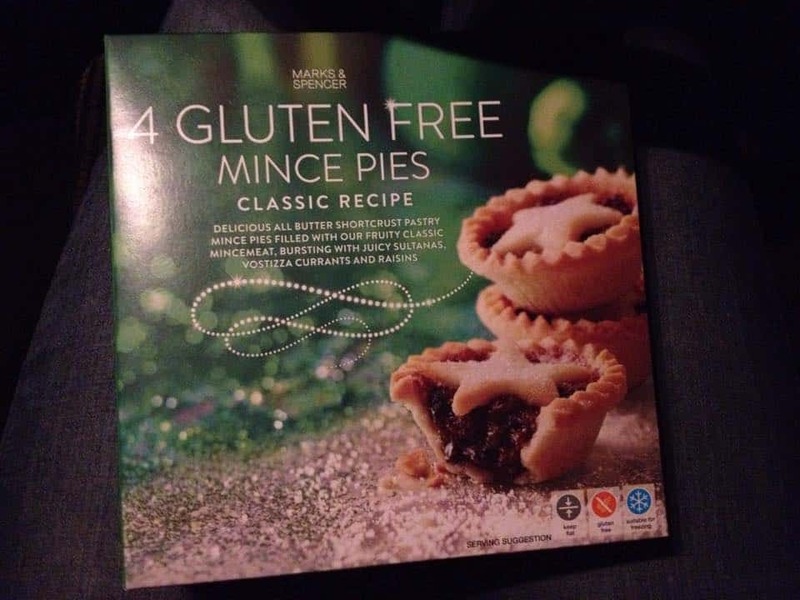 As mentioned in my 10 gluten free Christmas foods you can’t live without post, I was seriously impressed with these gluten free mince pies from Marks and Spencer. Buttery pastry, a dusting of sugar (real sugar, not icing sugar – so you get these gorgeously sweet crunch) and a rich, sweet filling. These score top marks from me. And there’s a lot of love out there on Twitter and Facebook for these too – get yours quick before you miss out! 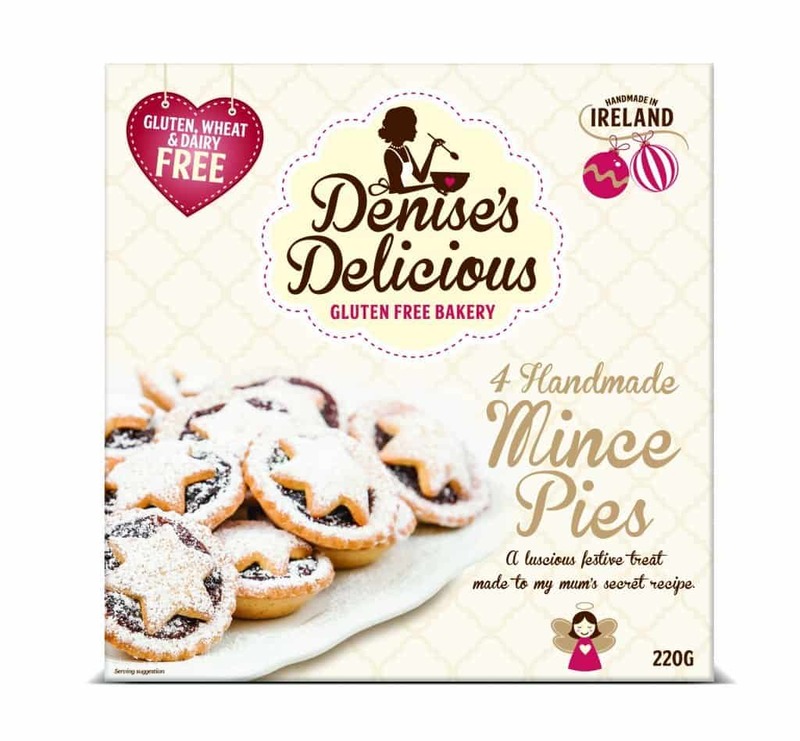 Denise’s Delicious Gluten Free Bakery are a new brand for me this Christmas. I tried these at Barnstaple Real Food Market on the John’s of Instow stall and was really impressed. I love that they are hand made with cute little pastry stars on top, and the packaging is lovely too. Made to a ‘secret recipe, these mince pies have a fruity filling and a pastry which could easily pass off as being ‘normal’. I think you can order their products online – I picked up a gluten free Christmas pudding of theirs to try this year too which I am excited to try! I got a box of these to celebrate buying our first ever real Christmas tree this year (had to be done) and thought I would try the iced variety for something a bit different. These were nice but a tad too sweet for my liking. I’m not a huge fan of icing anyway, so I don’t think I would get them again. That being said, if you have a huge sweet tooth you will probably love them! These Sainsbury’s mince pies are also dairy free and wheat free which is good. The pastry is a good consistency – not too crumbly. I preferred the non-iced ones, and felt they had a really generous amount of filling too. 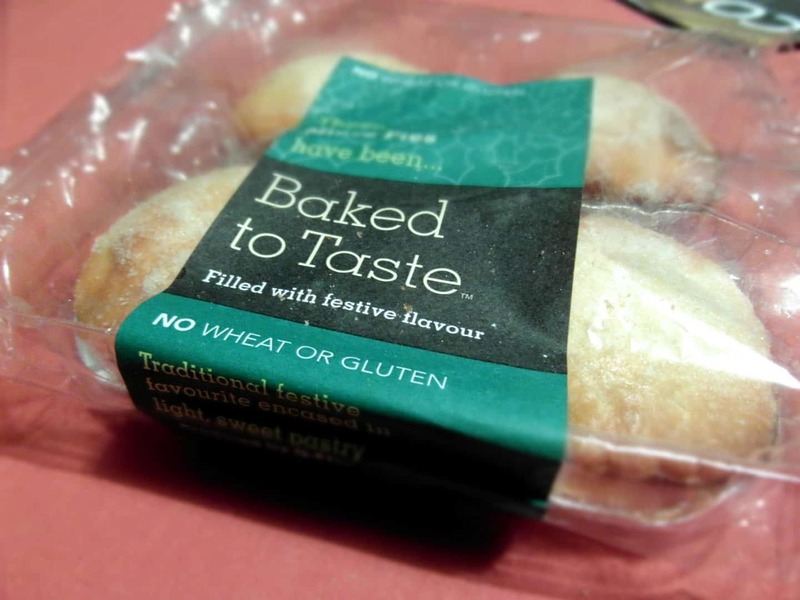 Baked to Taste produce, without a doubt, the best gluten free pastry products ever. I love them because they’re a West Country based business (big up the South West!!) and their ready to roll pastry is THE best gluten free pastry in the world – FACT. Their mince pies live up to their super high standards. Rich mincemeat, golden, sugar-topped pastry, and in gorgeous festive packaging. Oh, and they are also gluten free, dairy free, wheat free, lactose free and soya free. I simply love them. 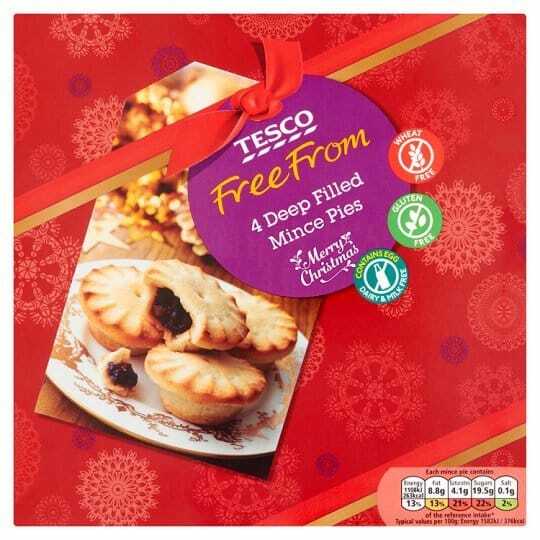 Tesco’s mince pies are gluten free, wheat free and dairy free, so another brand which is fairly allergy-friendly. Their pastry is pretty good, and again a fairly generous filling. 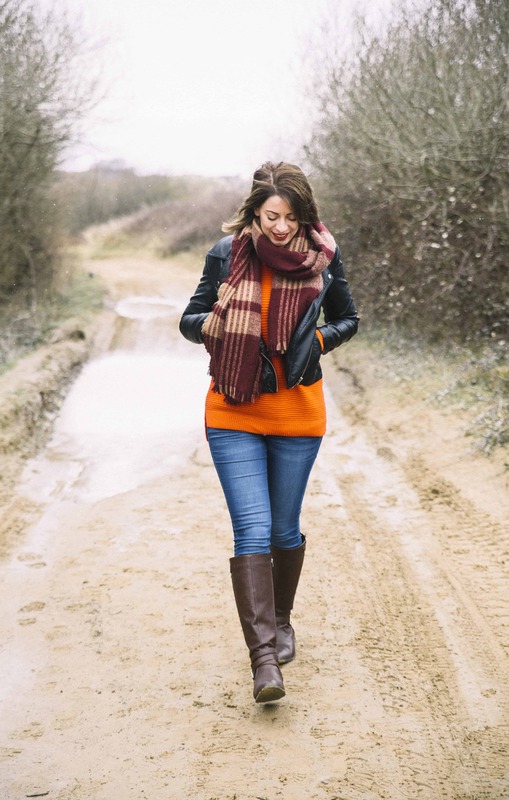 They’re a good option to grab on-the-go alongside your weekly shop, and I like the red packaging – all of their free from Christmas products look a bit more ‘normal’ this year which is always nice when you don’t want to always feel different! I don’t think these would be out of place at any party table. Make your own gluten free mince pies! If you want to really pull out the stops this Christmas, have a go at making your own mince pies. Last year I relied on the Dietary Specials ready roll gluten free pastry for a quick mince pie fix. And of course Baked to Taste’s pastry is my number one! I also experimented with adding marzipan to mine and it made it super sweet and tasty. Tip – add only a little and put it on the bottom before you add the mincemeat, otherwise it explodes everywhere! 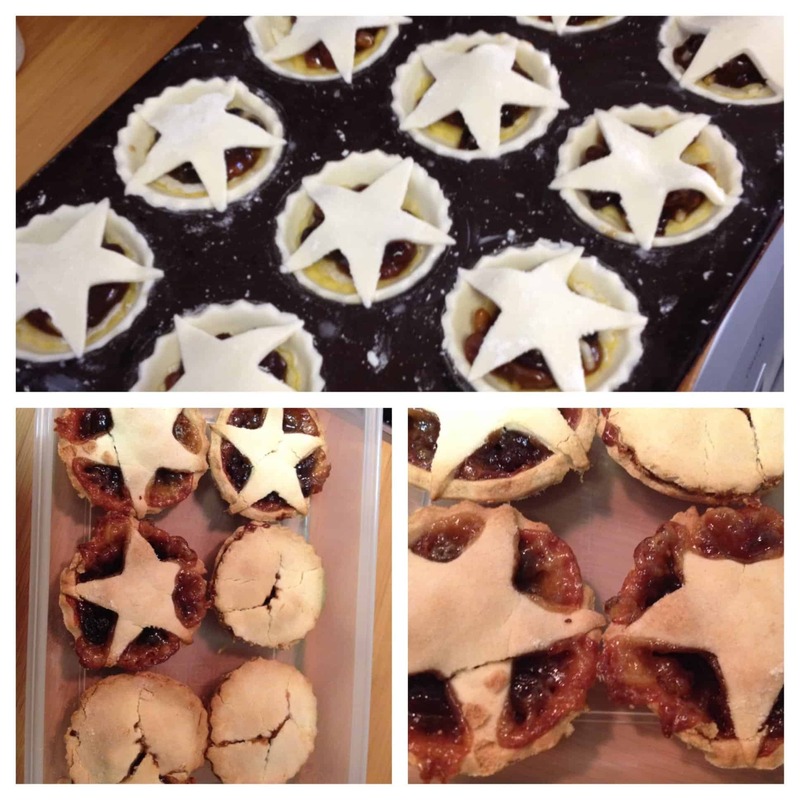 Nothing beats making your own, and smell of sweet mincemeat wafting through the house….heaven. 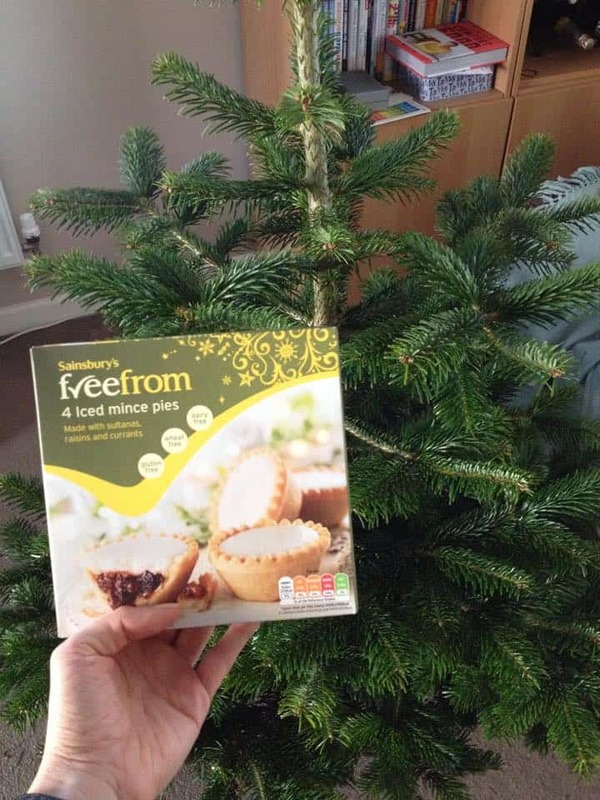 Which is your favourite gluten free mince pie brand? I know there are a few more gluten free mince pies on the market out there, but these are all the ones I have managed to get my hands on in North Devon! If there are any others you would recommend, please suggest them in the comments below or email your short review to me at glutenfreeblogger[at]hotmail.co.uk and I can add them to this post! Happy mince pie munching! Haven’t tasted a gf mincemeat pie; this is the second holiday season for me as GF celiac. They are not that common a pie anymore in the US. Sounds yummy though. Waitrose GF mince pies are good. Pastry a little ‘crunchy’ but I’m not so keen on the soft buttery type. Thanks for your info!